With the recent buzz regarding the Centers for Medicare & Medicaid Services’ 2014 Proposed Outpatient Prospective Payment System (OPPS) changes, your interventional radiology practice should continue to aggressively engage and own revenue integrity responsibilities. Ownership is the most important component of a successful revenue integrity process. Interventional radiology directors who directly or indirectly own revenue integrity responsibilities for their department can facilitate a higher level of organizational success. 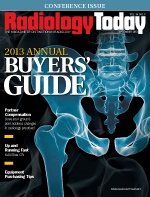 Your interventional radiology practice should actively pursue owning your department’s bottom line. To do so, your practice should examine key revenue cycle components to understand how they impact department operations, including your department’s chargemaster, charge-capture process and tools, diagnosis coding, procedural coding, IT systems, and billing, editing, and adjudication processes. By far, coding is the most discussed component in many organizational revenue integrity processes. What seems to be a straightforward term to most actually can carry many ambiguous definitions. Be aware of other stakeholders’ definitions when engaging in daily activities and consider their lens of coding perception. Coding in the context of radiology services and other stakeholders may be a combination of sources and staff at your facility. For example, ICD-9-CM diagnosis codes may come from direct-entry sources completed by physicians, selected on charge tickets, and extracted by HIM coders or other sources. Similarly, CPT/HCPCS procedure codes may come from an HIM coder or a decentralized or departmental coder, or they may be directly linked to IT solutions such as a chargemaster, charge-capture screens, interventional image and documentation technologies, or physician dictation solutions. The possible sources and their contributions are almost endless; however, to fully understand the key points in your organization’s specific revenue integrity road map, you should become familiar with how all radiology-related solutions and sources ultimately merge into a single billing transaction. A practice may find that what it believes should occur from a coding or billing perspective may not, in fact, actually occur when it examines the processes. Be prepared to not only discover discrepancies but also anticipate how to correct them in an effective and compliant way. To determine the outcome, you should work backwards in your discovery process. • Which CPT/HCPCS codes actually were paid? You can request Medicare remittances from your business office. These include line-level details of payment actions based on an OPPS status indicator. Were those services correctly adjudicated? • Which CPT/HCPCS codes appeared on the final bill? Was the final bill as charged/coded? If something was revised or deleted, be prepared to follow up with questions to determine both why something changed and who changed it. If multiple coding sources occur in your organization, you can require coding corrections based on National Correct Coding Initiative editing or units of service. • If a third-party vendor is utilized to submit bills, did the vendor’s bill match the hospital-created bill? Many times changes are made only on the vendor system and are not updated in the organization’s billing system. Work with your business office to ensure they always match each other. • How were services coded? Be prepared to hunt out problems. For instance, your organization may delegate coding responsibilities to HIM to extract services from individual operative reports; however, you may discover that their codes are not interfaced correctly to the final bill. This could be due to insufficient charge-capture processes, IT coding consolidation rules for the billing compilation process, or simply an issue with the chargemaster setup and implementation processes. Be prepared to continue to investigate and uncover problems until a solution can be identified and effectively implemented. • Did the medical record accurately document the services coded? The old adage is “If it is not documented, it did not happen.” While it seems like a basic rule, make sure that your documentation solutions truly are capturing all services that occurred in the procedural room. Do you retain vascular-access ultrasound images in your permanent image archives? If you report the service separately on a claim, be prepared to defend its appropriateness based on compliant billing and documentation requirements. Once you find the answers to these questions, you have built a road map of your practice’s key revenue integrity touch points. Through continual reexamination of outcomes, processes, policies, corrective actions, and enhancing your revenue integrity knowledge base, your practice will maintain revenue integrity. Your commitment is the only limitation to that success. — Byron C. Johnson, MAOL, CHC, RHIA, CIRCC, is the director of Kohler Healthcare Consulting and a member of AAPC.